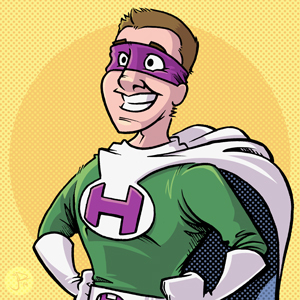 Reader and listener Mike Sweetman of beahealthygeek.com commissioned this Healthy Geek superhero character pinup. Be A Healthy Geek is a site that offers a guide to setting monthly goals in fitness, nutrition and geeky-ness. Mike is in the process of revamping the site and the new art will be implemented soon. 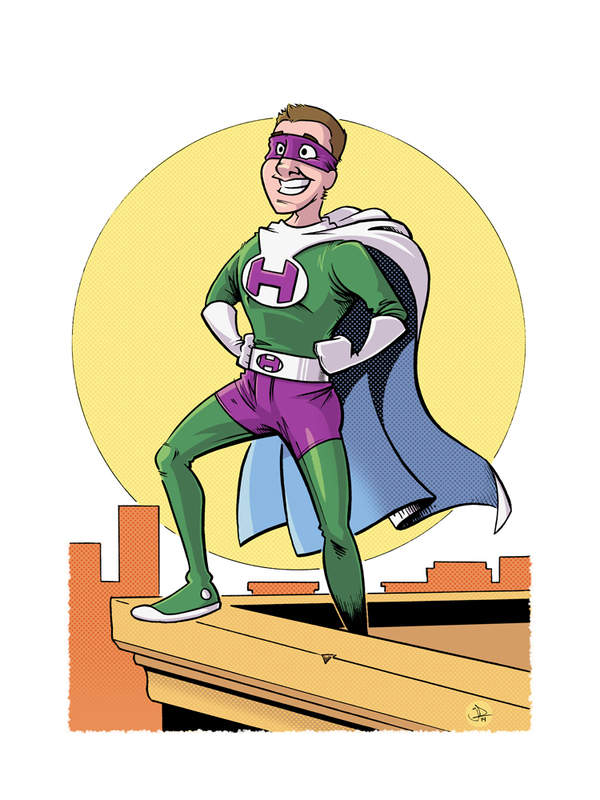 It was a lot of fun to come up with something based on Mike’s loose description of a “green and purple hero with an ‘H’ on his chest, reminiscent of Batman in the 1960’s.” – Thanks Mike! If you would like to order a commission for yourself or work with me on illustrating or designing new elements for your website visit the commissions store page or email me.